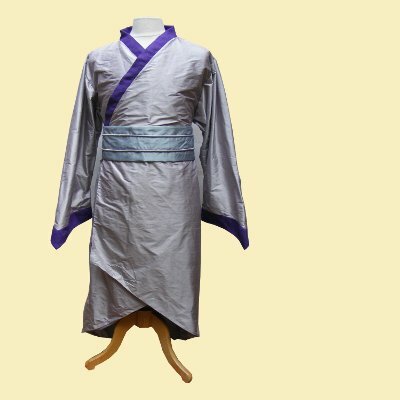 Long kimono style wrap robe fastened with one tie at the waist. 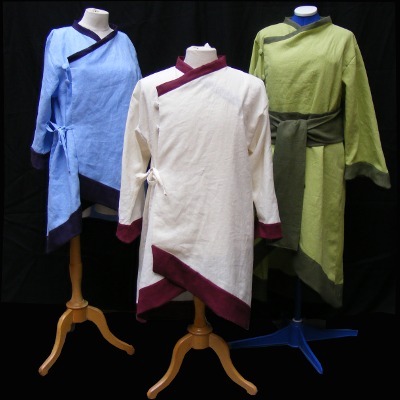 Curved hem to match the shorter Urizen robes, pointed cuff and coloured edging to cuff and neck. Belt sold separately. Please supply chest measurement and max length required (back hem) when ordering.